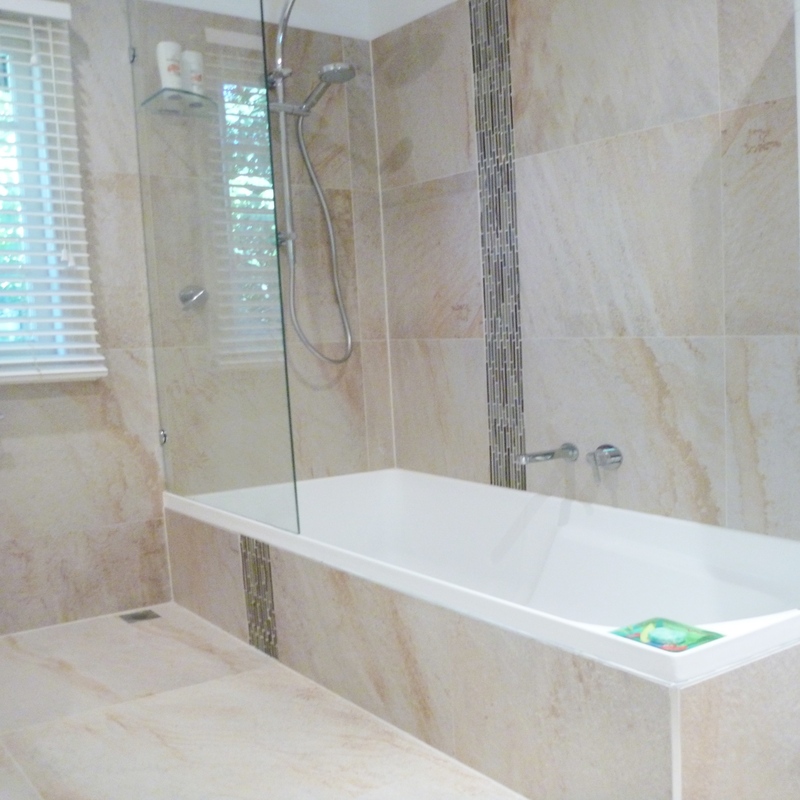 The original bathroom was in desperate need of restoration. 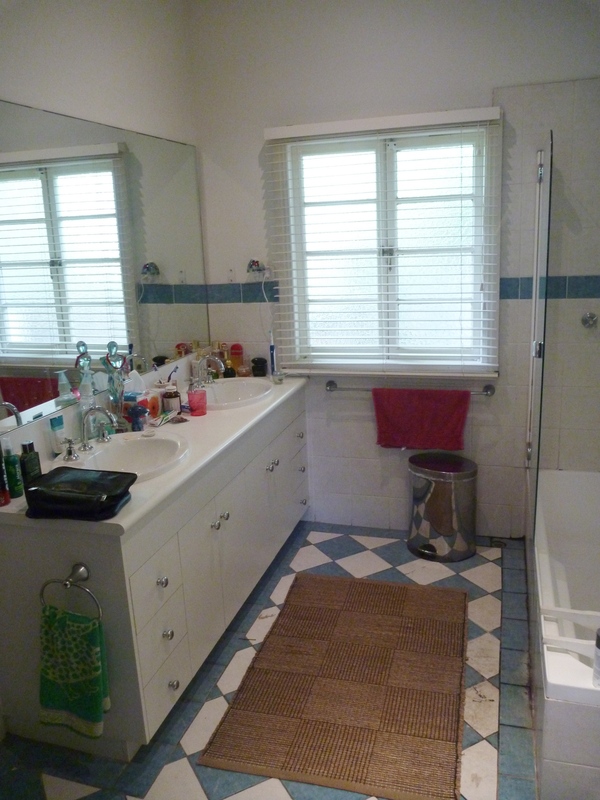 The old blue checker pattern needed to be removed as it looked dirty and dated. 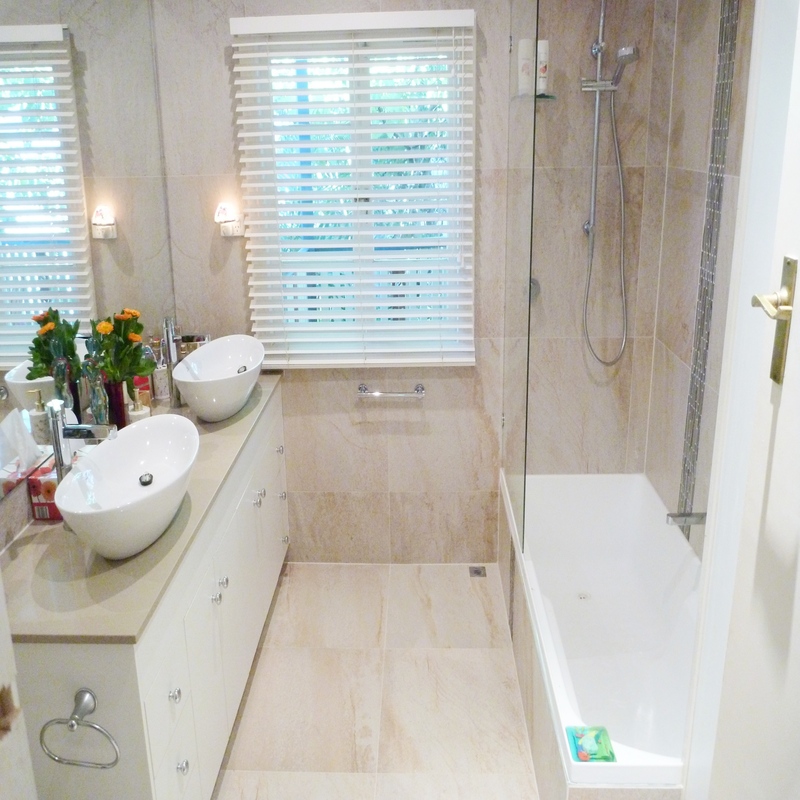 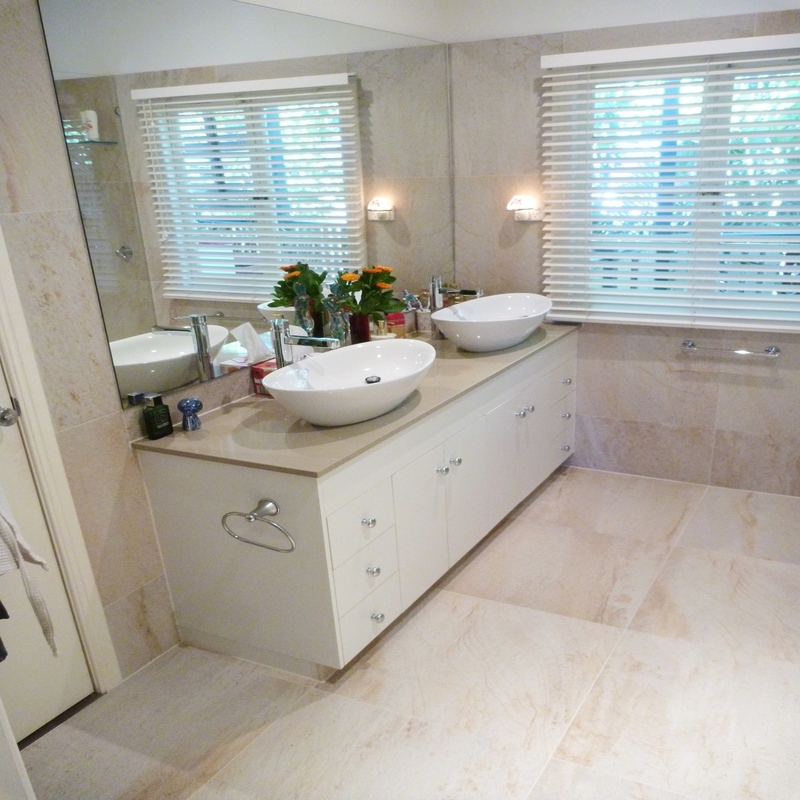 This fabulous new look that was created gave this bathroom a resort feel by using a sand stone look a like porcelain tile.